Well, I never said I had to understand why my photos are used sometimes! Thanks to Public Broadcasting of Latvia for using my photo of my Hallmark Stay-Puft Marshmallow Man ornament on their advent adventures weekend events guide back in November. The article talks about early Advent events happening in Latvia, so the use of a photo of an ornament on a tree does make sense. 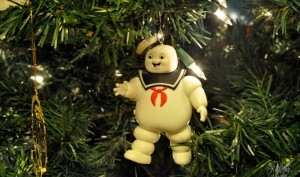 Why they’d choose my Stay-Puft Marshmallow Man ornament among all the other photos of ornaments I have, I don’t know, but I can only assume that they’re Ghostbusters fans like me! It’s natural then that Latvia holds a special allure to holiday goers during this wonderful season.